NiceLabel Blog How to choose nutrition analysis software? If you own or represent a food business, you must have heard that the FIC requires you to revise the content of your food labels to comply with the regulation by December 2016. In case you didn’t follow the procedure yet, the initial step you should take is passing your food products and recipes through a nutrition analysis to get detailed and correct nutrient data. More advanced and professional software programs which provide higher accuracy, have a larger database of food components and comprehensive data management systems. In any case, there are some factors that you should consider when choosing a solution for your business to ensure compliance with the regulation. Does the database have my desired food components available? Make sure the database contains the foods and components you are utilizing in your recipes and check whether the list contains ingredients from where your production is happening. Food energy levels are known to vary between different regions of the world. Is the search engine efficient and fast in finding food components in the database? This might seem like a small issue, but if you have hundreds of products you need to get information for, you might have to look through the database for hours trying to find the accurate ingredient. Are the food descriptions detailed and accurate enough for your food components? If you are producing ‘low-fat’ or ‘low-sodium’ version of your products, you might need different descriptions that are not in the database. The same situation may apply for other examples as well. Does the system enable you to add custom descriptions for these cases? Take note that this might be a manual process of entering data in the system, so make sure to decide whether or not you are willing to spare time for this. What is the cost of the product and updating the software? Is the product within your budget and are there costs related to software upgrades? How frequently is the database renewed with new food components? Are there additional costs while using the software? Make sure to research and calculate the costs in advance to avoid surprises later on. 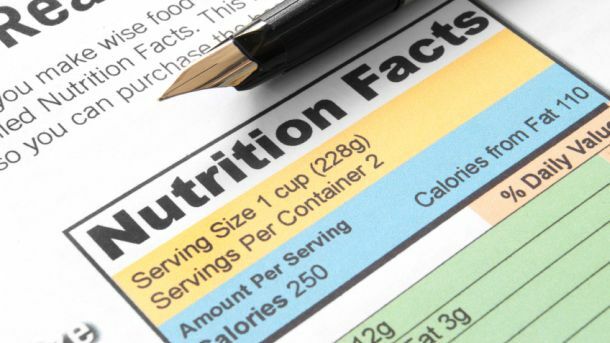 Learn more about EU nutrition labeling compliance here.